Will French has always loved horses, despite the fact that his parents were never really into them. He took riding lessons as a kid, and, in junior high, got horses of his own – but not in the most conventional way. As a fifth-generation Coloradan, Will grew up in Fort Collins and attended Poudre High School. After receiving the Boettcher Scholarship in 2003, Will chose a path that would allow for horses to remain a constant in his life. 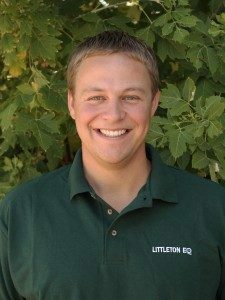 He attended Colorado State University to study equine science, continued on to attend veterinary school at CSU, then progressed to an internship at Littleton Equine Medical Center, a major equine referral hospital. Will focused on lameness in sport horses, and performs various tasks such as chiropractic acupuncture, ultrasounds, general exams and X-rays. For Will, the most significant impact being a Boettcher Scholar has had on his life is the call to service and giving back. As president of the Colorado Veterinary Medical Association, Will spends plenty of time doing just that. The association is the professional organization for veterinarians in Colorado, focusing on advocating for veterinary practices in the state, providing educational opportunities for veterinarians and creating outreach to the community. The organization also has a charitable branch called PetAid Colorado that works to provide access to quality care for pets in low-income communities. Will’s work of making contributions to the veterinary profession, supporting pet and owners in need, and bringing horses back to health has left its mark on Colorado, and he is thankful the Boettcher Scholarship has encouraged such service.